Some people are shunning human contact these days for fear of contracting the H1N1 virus. One wonders if some people aren't shunning contact with Kevin J. Murphy these days for fear of contracting writer's cramp: Not only did he file petitions for each and every countywide vacancy (see preceding posts), he filed petitions in all three of Cook County's 15th Subcircuit vacancies. The only other persons filing in all three of these vacancies were Carl Evans, Jr., Nicholas W. Karas and Assistant State's Attorney Mary Beth Kent Duffy. An attorney since 1992, Kent Duffy filed for the "A" vacancy in the 15th Subcircuit and two countywide vacancies in 2007 but withdrew from each of these races. She did run for the Nowinski vacancy in the 15th Subcircuit in 2006, finishing second to Daniel P. Brennan. She also ran countywide in 2004 for the Siracusa vacancy, finishing fourth behind Timothy P. Murphy. Evans stayed in the race for the 15th Subcircuit "A" vacancy in 2008, but was not successful. A solo practitioner with an office in Palos Heights, Evans has been an attorney since 1993. His Sullivan's listing says Evans practices criminal defense, real estate and personal injury law. Michael T. Huguelet filed for both the Lipinski and Panichi vacancies. A solo practitioner from Orland Park, and an attorney since 1979, Huguelet's practice has, according to his firm website, been concentrated in estate planning. Frank James Ryan also filed for both the Lipinski and Panichi vacancies. Ryan, an attorney since 1981, maintains an office in Oak Forest where, according to Sullivan's, he maintains a general practice with concentrations in domestic relations and real estate. Ryan ran for the countywide Murphy vacancy in 2008. He had a campaign website then; that link is no longer active and I've yet to find an updated one. Pat Flanagan and Scott Edward Lipinski filed for both the Lipinski and Phelan vacancies. Flanagan ran for the countywide Orlando vacancy in 2004. A lawyer since 1999, Flanagan practices with Brittain & Ketcham, P.C. in Elgin. According to the Lawyers.com listing for this firm, Flanagan's practice is in real estate, personal injury, foreclosures, and insurance defense. Lipiniski is an Assistant Public Defender and the son of former Judge Marcella C. Lipinski. Scott Lipinski ran for the "A" vacancy in the 15th Subcircuit in 2008 but did not participate in the bar association evaluation process in that election cycle. Ten other candidates filed for only one 15th Subcircuit vacancy apiece. In the race for the Lipinski vacancy, these are Karla Marie Fiaoni, an attorney working in Cook County Commissioner Joseph M. Moreno's private law firm; Olympia Fields Mayor Linzey D. Jones; and Richard G. Karwaczka, an attorney with offices in Rosemont. Judge John A. Wasilewski, who was appointed to the Lipinski vacancy by the Supreme Court in May 2009, has not filed. Former State Representative, George F. Scully, who was appointed to the Panichi vacancy, did file petitions Monday seeking that seat. Also filing exclusively in the race for the Panichi vacancy was Assistant State's Attorney Mary Therese Quinn. Quinn ran in the 2006 primary, unsuccessfully seeking nomination to the Nowinski vacancy. Judge John C. Griffin, appointed by the Supreme Court to the Phelan vacancy, filed to keep his seat. That's a link to his campaign website in the preceding sentence; I did not have that previously, but it has been added to the Sidebar. I also discovered that Judge Griffin has this Facebook page. Also filing exclusively for the Phelan vacancy were Thomas "TJ" Somer, who ran for the "A" vacancy in the 15th Subcircuit in 2008, and Nichole C. Patton. That's a link to Ms. Patton's campaign website, which she was kind enough to send to me after she saw this post. (I mentioned Patton's Facebook page in that post.) I have added Patton's campaign website link to the Sidebar as well. As many candidates as there are already in the 15th Subcircuit, it seems safe to bet there will be still others. For example, Assistant State's Attorney Thomas R. Mahoney had indicated plans to run, but has not yet filed. Eight candidates filed for the Riley vacancy in Cook County's 11th Judicial Subcircuit when the doors opened yesterday at the Illinois State Board of Elections. Real estate practitioner Lisa A. Marino also filed for this vacancy. An attorney since 1988 and a former President of the Justinian Society, Marino was honored just last week by the Justinians as part of the society's Italian-American Heritage Month celebration. Marino has a biography posted on Facebook. This is another race in which it is likely that others may file. Cook County Assistant State's Attorney Gina Crumble-Jones, who had indicated an interest in making this race, did not file petitions on Monday. Pamela Cotten filed for each of the three 3rd Subcircuit vacancies Monday morning, as did James Patrick Doran, Charles Francis Fitzgerald, Ronald Joseph Hurley, Peter M. Kramer, Thomas G. O'Brien, and Steven G. Watkins. Doran is an assistant attorney general in the general law division. He has been an attorney since 1992. Fitzgerald has an office at 10459 S. Kedzie. According to Sullivan's, Fitzgerald's practice is concentrated in criminal defense and real estate matters. An attorney since 1981, I could find no website for Fitzgerald's campaign, but I did find this Facebook page. Hurley has been an attorney since 2003; he has an office in Palos Hills. Kramer has been an attorney since 2002; he is employed by the Cook County Sheriff's office. O'Brien has an office at 661 W. Lake St. in Chicago; he has been an attorney since 1997. He sought the countywide O'Malley vacancy in 2004. Watkins was profiled in this recent post. Judge Allen F. Murphy, appointed to the 3rd Subcircuit Carmody vacancy by the Supreme Court, filed only for that vacancy. Similarly, Judge Edward S. Harmening filed only for the Darcy vacancy to which he was appointed by the Illinois Supreme Court. Also filing only for the Darcy vacancy was Thomas J. Murphy. There is more than one Thomas J. Murphy practicing law in Chicago. I do not know which of these is running. If a reader or the candidate provides information, I will pass that information along. Assistant State's attorney David Coleman, mentioned in this October 24 post, filed for both the Darcy and "A" vacancies in the 3rd Subcircuit. Three candidates filed only for the 3rd Subcircuit "A" vacancy. One of these, of course, was Judge Daniel B. Malone, appointed by the Illinois Supreme Court to this position. The other two candidates filing only for this vacancy were Bernadette McNicholas, a domestic relations attorney who maintains an office on LaSalle Street in the Loop, and Mary McNamara, who practices in Oak Lawn as Mary Niego-McNamara. As mentioned earlier today, only Bonita Coleman-John filed for all three available vacancies in Cook County's 1st Judicial Subcircuit. Linnae W. Bryant is a Professor of Accounting at Chicago State University, a practicing Certified Public Accountant and an attorney. She earned a BS Degree in Accounting and Finance at the University of Illinois and a J.D. from DePaul College of Law, with over 20 years experience in the accounting, legal and teaching professions. 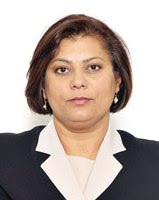 She began her career as an auditor with Arthur Andersen & Co., and subsequently worked as an accounting and fmancial analyst at a Fortune 500 company. 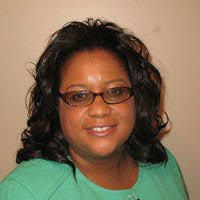 Ms. Bryant has also practiced as a tax attorney with the law firm of Winston & Strawn in Chicago. She currently has an active legal practice and is the managing broker of Urban Oasis Property Development. Bryant teaches full time and has voluntarily served as an advisor to the Chicago State University student chapter of the National Association of Black Accountants since 1993. Judge Thaddeus L. Wilson filed only for the vacancy he now holds by appointment, the Sharon Johnson Coleman vacancy. Joseph Chico filed only for the Steele vacancy, as did Michelle Hugghis Flagg. Also filing only for the Steele vacancy was Sharon Oden-Johnson. I've just come across her campaign website this evening. That's a link in the preceding sentence; a link has also been added to the Sidebar. A lawyer since 1996, Oden-Johnson maintains an office in the Chicago Loop. Her website advises that Oden-Johnson took her undergraduate degree at Bradley and her law degree from Howard University. As might be expected, Judge Michael Ian Bender filed only for the seat he now holds by Supreme Court appointment, the "A" vacancy in the 9th Subcircuit. Similarly, Judge Yehuda Lebovits filed only for the seat that he now holds by appointment, the Otaka vacancy. In addition to these candidates, Niles Township Assessor Scott Bagnall filed for both vacancies. An attorney since 1986, Bagnall has a personal injury practice in the Loop; his office website stresses his experience in bicycle, motorcycle and aviation cases. (On his firm's "aviation" page, Bagnall advises that he "holds a FAA commercial license with single, multi- engine land and instrument ratings along with basic ground instructor, advanced ground instructor and instrument ground instructor certificates and flight instructor airplane and flight instructor instrument certificates." The last of these seven candidates to file for both 9th Subcircuit vacancies is Mary S. Trew, the Executive Director of the Domestic Violence Legal Clinic of Cook County. Trew started her legal career in Michigan in 1981. She worked as a criminal defense attorney in Detroit before moving to Illinois. An Illinois attorney since 1991, Trew was among the finalists for Associate Judge in 2007. There will almost certainly be more candidates in the 9th Subcircuit. Not filing this morning, for example, was declared candidate Dennis M Fleming. From a comment received this evening, we can verify that an additional countywide vacancy has opened up in Cook County, the vacancy of the Hon. Carol Pearce McCarthy. Petitions may now be circulated for this vacancy as well and will be due in Springfield between November 16 and November 23. The Democratic Party had pre-selected Daniel Gallagher as sort of the first runner-up in case an additional vacancy became available; presumably he will be automatically slated for this post. More information about this candidate when it becomes available. Before taking a look at who filed in the subcircuits, this might be an opportune moment to answer some questions that laypeople (a/k/a "voters") might be asking while looking at the posts today. First, you'll have noticed that some candidates have filed for more than one countywide vacancy; one candidate, Kevin J. Murphy, has filed for each of the seven posted vacancies. Yes -- although all these multiple filers will have to choose -- soon -- which race to make and which to leave. A person can ultimately run for only one judicial office at a time. A candidate may negotiate with other candidates about non-aggression pacts or alliances -- sort of like a political version of "Survivor." A person may feel that he or she has an advantage in this race, or that one, because (for example) she is the only woman or he or she is the only one in the race with significant criminal law experience. Some candidates may be amenable to dropping out of one race or all of them because of promises of future support. Of course, in the law, promises of future performance are notoriously unenforceable. And then there is the question of objections. A candidate for judge (for any political office, really) must submit petitions in order to get on the ballot. That's what all of these candidates filed today. The form of these petitions, and how the petitions are numbered, witnesses and bound are all subject to very specific statutory provisions. Failure to submit petitions in the required form can be fatal... if someone objects. Also, the petitions must have the requisite number of signatures in order to qualify. For Democratic judicial hopefuls from Cook County, the required number this year was 3,268. That means a candidate must have at least 3,268 "good" signatures. A "good" signature comes from a registered voter -- whose signature can be compared with and verified by reference to the signature on that voter's registration -- and that's just the beginning of the possible scrutiny. As you read this, some candidates (or their supporters) are poring over their opponents' petitions, making sure that each and every rule has been followed. A Cook County Democratic judicial candidate who filed petitions today only 3,500 signatures is likely to draw an objection; someone who has filed 10,000 signatures might not. A candidate who draws an objection in this race... but who does not draw an objection in that race may find it easy to decide which race to abandon. Petition challenges can get very expensive. If you have a question about the process, feel free to leave a comment. I do not promise, however, to know the answer. Sandra Ramos is the candidate slated by the Democratic Party in this case. Six candidates have so far filed to oppose her, including Thomas William Flannigan (see Bronstein vacancy) and Terry MacCarthy (see also, Bronstein vacancy). Also filing for this vacancy was James Michael Bailey, son of former Circuit Court Judge James M. Bailey. His potential candidacy was mentioned in this October 3 post. In addition, Carl B. Boyd (see, Hayes vacancy), Russell William Hartigan (see, Dolan vacancy), and Kevin J. Murphy (see, O'Malley, Kelly, Hayes, Berland, Bronstein and Dolan vacancies) have also submitted petitions in this race. Thomas V. Lyons is the slated candidate in this race. Only Kevin J. Murphy (see Kelly, Hayes, Berland, Bronstein and Dolan vacancies) has so far filed to run against him. John Patrick Callahan, Jr. is the slated candidate in this race. Also filing for this vacancy were Thomas J. Carroll (see Hayes vacancy), Kevin J. Murphy (see, Hayes, Berland, Bronstein and Dolan vacancies), and Susan Kennedy Sullivan (see, Dolan and Berland vacancies). Raymond W. Mitchell received the Democratic Party's nod for this vacancy. Also filing in this race are Kevin J. Murphy (see also, Berland, Bronstein and Dolan vacancies) and Bonnie Carol McGrath (see Berland vacancy). Also filing for this vacancy were Carl B. Boyd, an attorney since 1991, who practices with the Starks & Boyd Law Firm on the South Side of Chicago. I could find no public website for Mr. Boyd, but he has a "Carl B. Boyd for Judge" page on Facebook. Boyd ran for judge in 2006 as well, as a candidate for the "A" vacancy in the 2nd Subcircuit. Rounding out the field in the Hayes vacancy is Thomas J. Carroll. An attorney since 1988, Carroll maintains a law office in Cicero. According to Sullivan's his practice is focused in criminal law. I mentioned Russell William Hartigan's likely bid in this August 25 post; he filed this morning for the Dolan vacancy. The slated candidate in this race is Linda J. Pauel (that's a link to her campaign website). Also filing for this vacancy were Kevin J. Murphy and Susan Kennedy Sullivan, both of whom also filed for the Berland vacancy. Murphy also filed for the Bronstein vacancy. 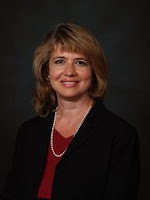 Diann K. Marsalek is the slated candidate in this race. Filing also for this vacancy are Kevin J. Murphy (see post below) and Thomas William Flannigan. Terry MacCarthy also filed for the Bronstein vacancy. MacCarthy ran for the Glowacki vacancy in 2008 and did receive the endorsement of the Chicago Sun-Times. As this is his first mention here in this election cycle, let me point out that I've today added a link to his campaign website in the Sidebar. James Edward Hanlon, a lawyer since 1984, with a background in antitrust, securities and business litigation, has also filed for the Bronstein vacancy as has Sharon Finegan Patterson. This is Patterson's third bench bid. She filed for the Sheehan vacancy in the 8th Subcircuit in 2008 and for several countywide slots as well. She settled on the Glowacki vacacy, but withdrew from that in December 2007. Patterson finished third in the 2006 Primary to Pamela E. Hill Veal in the race for the Schiller vacancy. Patterson has a solo office in the Loop; she's been a lawyer since 1980 and, according to her Sullivan's entry, practices in the areas of commercial litigation, employment disputes and personal injury. Links are to candidate websites where known. Deidre Baumann has filed to challenge slated candidate Judge William H. Hooks. Also filing for this vacancy were Bonnie Carol McGrath, Kevin Murphy and Susan Kennedy Sullivan. Sullivan was mentioned in Abdon Pallasch's September 20 article for the Sun-Times about judicial slating. A lawyer since 1994, with an office on LaSalle Street in the Loop, Sullivan reminded the committeemen that, "My first campaign efforts were to support John Kennedy, that's John A. Kennedy of Winnetka, my father, who was the Democratic candidate in 1962 against a young upstart, Donald Rumsfeld." She was, however, passed over. According to Sullivan's, Murphy has a law office on West 127th Street in Palos Heights and focuses his practice in personal injury, real estate and probate matters. He has been an attorney since 1981 and is the brother of Circuit Court Judge Timothy P. Murphy. Two exceptions: First, Judge Daniel J. Pierce, appointed in 2008 to the countywide Kelley vacancy and recently transferred by the Supreme Court to the "A" vacancy in the 14th Judicial Subcircuit, was the only candidate to file for that vacancy when the doors opened this morning at the Illinois State Board of Elections. Second, Bonita Coleman-John was the only candidate to file for the recently posted "A" vacancy in the 1st Judicial Subcircuit. No Republicans or Greens seem to have filed for any Cook County vacancies at all in the initial wave of candidate filings today. Of course, any Republicans or Greens wishing to do so now will find the lines much shorter. As time permits in the next couple of days, I'll run through who filed for which vacancies. This much is certain: there will be multiple changes... additions... withdrawals... possibly even challenges in the days ahead. I mentioned in this October 19 post that Bonnie McGrath, whom I know from our time together on the Board of Editors of the CBA Record was running for judge. McGrath now has a campaign website up and running. That's a link to her site in the preceding sentence; I've also added a link to the Sidebar. In an email to FWIW, McGrath said, "during my campaign, I will be stressing my extensive background in pro bono service (from supervising a group of lawyers doing orders of protection for free for needy clients -- to representing young defendants after arrest who have difficulty getting representation), my deep links to the community vis a vis my board work, and my extensive legal writing and teaching." But, Flannigan advises, he has two sets of petitions with him on this trip: When the doors open this morning, Flannigan will file petitions for himself and for his wife, Circuit Court Judge Ellen Flannigan. Judge Flannigan is filing for one of the three open seats on the Appellate Court. Tom Flannigan has a campaign website; that site is linked in this sentence and in the Sidebar. Travel plans have been made; the hotel industry in Springfield will receive a real stimulus this weekend as judicial candidates make their way down from Cook County and elsewhere across the state for the privilege of shivering in line in the wee small hours outside the State Board of Elections, all thereby deemed 'first in line' when the doors finally open. Only those 'first in line' qualify for the ballot lottery, the chance to snag that first position on the ballot. There will be some stragglers as next week wears on and there will be a little boomlet just as filing closes on November 2, but most of the candidates will file Monday morning. By late Monday, then, we'll know for certain about the majority of the judicial hopefuls from Cook County... but, in the meantime, here's the latest information gathered from the Internet. Assistant State's Attorney David J. Coleman is apparently planning a judicial bid. An attorney since 1993, a check of newspaper records indicates that Coleman was serving in the State's Attorney's 'cold case unit' as of 2005. FWIW noted in this October 3 post that Assistant State's Attorney Tom Bilyk would be running in the 11th Judicial Subcircuit. He has a campaign website up and running now and I've added his link to the Sidebar. Understandably, Bilyk's site stresses his current role as "Chief of the Juvenile Justice Division for the Cook County State’s Attorney’s Office where he oversees the work of over 40 attorneys, dealing with the issues of troubled and violent youth in all of Cook County." However, he also notes that, before receiving this assignment he "headed up the Mortgage Fraud Task Force made up of representatives from the Illinois Attorney General, the Illinois Secretary Of State, the Cook County Recorder of Deeds, the Cook County Assessor, the Chicago Police Department, and the City Of Chicago Corporation Council created to work together to propose and pass legislation to combat mortgage fraud and predatory lending practices." William J. Luby, son of the late Judge Joseph K. Luby, has a campaign website up and running; the link has also been added to the Sidebar. An attorney since 1994, Luby has a law office in northwest suburban Mt. Prospect. There is also a "William Joseph Luby for Cook County Judge" up on Facebook. I'm a little late noticing that Olympia Fields Mayor Linzey Jones has announced his candidacy for the 15th Subcircuit Lipinski vacancy. He also has a campaign website up and running; his link has also been added to the Sidebar. But I found the August 16 article in the Daily Southtown today in a Westlaw search. An attorney since 1982, when he graduated from the University of Illinois Law School, Jones practices with the Loop firm of Pugh Jones Johnson & Quandt PC. The law firm site stresses Jones' long "experience in labor and employment law representing businesses and public agencies in developing and implementing strategies to address the wide variety of issues that arise in today’s workplace." His campaign site also notes that Jones has served as a "member of the Board of Managers of the Chicago Bar Association and the Board of Directors of the Cook County Bar Association." Matteson attorney Nichole C. Patton is contemplating a judicial bid in the far south suburban 15th Judicial Subcircuit. The Patton Law Offices have a Facebook site. On the "wall" of that site is an invitation to become a "fan" of a Facebook group, "Elect Nichole C. Patton for the 15th Judicial Subcircuit." An attorney since 1997, Patton's Facebook page says her practice is "a boutique law firm providing high-end legal services to corporations and individuals." Sullivan's Law Directory says her practice is in real estate, criminal law, and securities law. A search of newspaper records reveals a number of stories about a criminal case Patton defended in Downstate Bloomington in 2007. Daniela Silaides, a Cook County Assistant State's Attorney and a lawyer since 2002 has also organized a judicial campaign committee, according to records filed with the Illinois State Board of Elections. Judge William H. Hooks, appointed by the Illinois Supreme Court in 2008 to the countywide Berland vacancy, and subsequently slated by the Cook County Democratic Party for that post, has a campaign website up and running. That's a link to the site in the preceding sentence; a link has also been added to the Sidebar. Hooks' website stresses his long-time association with the United States Marine Corps. He retired in 1995 as a Lieutenant Colonel in the reserves after over 20 years of service, including service as an intelligence officer and in the Judge Advocate General's Corps. After his active duty military service, Hooks worked for two of Chicago's larger insurance defense firms, Pretzel & Stouffer, Chtd. and Hinshaw & Culbertson. Later, before going on the bench, Hooks was the principal of his own firm, Hooks Law Offices, P.C. Hooks is a former president of the Cook County Bar Association. He was also the first African-American president of the Chicago Chapter of the Federal Bar Association. According to Hooks' campaign site, N’Digo Magazine has included Hooks in its list of "Who’s Who in N’Fluential Black Chicagoans" on several occasions. Hooks was also named as one of 50 "Men of Excellence" by the Chicago Defender in 2009. An attorney since 1981, Hooks is a graduate of Chicago's Lindbloom Technical High School. According to his campaign website, Hooks rose to the rank of Eagle Scout while living in the West Woodlawn neighborhood in the late 1960s and early 1970s; he is a member of the National Eagle Scout Association. In an email, Hooks advises that one of his daughters is setting up a campaign Facebook page as well. But I have yet to venture into that brave new world and can not presently supply a link. It's the Additional Judgeship A that's recently opened up. Per email received today from campaign manager Karl Perteet, Pamela Cotten is planning to file in Cook County's Third Judicial Subcircuit. That's a link to Cotten's campaign website in the preceding sentence; a link has also been added to the Sidebar. A lawyer since 1995, Cotten currently works for the Chicago Housing Authority. According to her campaign website, Cotten has been with the CHA for 11 years, presently serving as an Assistant General Counsel. After graduating from DePaul Law School, Cotten served as a law clerk for Illinois Appellate Court Justice William Cousins and Illinois Supreme Court Justice Charles E. Freeman. Before becoming a lawyer, according to her campaign biography, Cotten taught kindergarten at St. Helena of the Cross Grade School, where she attended school as a child. Cotten has also taught overseas, in Japan, and served as a "a clinical therapist for the Englewood Community Health Organization, where she provided group and individual counseling for teens and young adults." 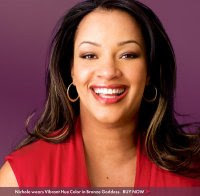 Cotten's undergraduate degree is from the University of Illinois at Urbana-Champaign; she is a graduate of Chicago's Mother McAuley High School. Cotten's website also notes that, if elected, she would be the first African-American elected from the Third Subcircuit. Lawyer, freelance writer, judicial candidate? Full disclosure: I've known Ms. McGrath for several years since we both served together on the Editorial Board of the CBA Record; McGrath still serves. Among her other writing assignments, McGrath writes a blog called the "South Loop Observer" that can be accessed through the website of the Chicago Journal. McGrath mentions her possible judicial campaign in this October 13 blog entry; she even embeds a link back to this blog in her article. Chicago practitioner Steven G. Watkins is contemplating a run for judicial office. An attorney since 1991, Watkins has been very active in the Omega Psi Phi Fraternity, Inc. Materials on the Omega Psi Phi site indicate that Watkins concentrates his law practice in criminal defense, civil litigation, and real estate transactions; that he has served on the Cook County Bar Association Judicial Evaluation Committee; and that he serves as an Arbitrator in Cook County mandatory court-annexed arbitrations. Bonita Coleman-John, who made a bid for a 1st Subcircuit seat in 2006, appears to be considering another election effort. I found a campaign website apparently under construction. Since there's no candidate information yet posted, I'll hold off on posting the link. A lawyer since 1992, Coleman-John has an office in the Chicago Loop with Bonita Coleman-John and Associates. Concluding this roundup, Oak Lawn attorney Nicholas W. Karas also appears to be contemplating a bid for judicial office. Karas has been a lawyer since 2000. This is a non-partisan blog. If you're running, under whatever banner, I want to cover your candidacy. If you have a website, I will link it. I want to cover all judicial candidates in Cook County. Experience has shown that Democrats who win county-wide judicial primaries are almost certain to win election in November; no Republican even filed county-wide for the 2008 primary. Thus, there will be a lot more Democratic candidates featured here than Republicans; however, this does not mean that this blog will not cover candidates filing as Republicans or Greens. I'm not making endorsements. When they become available, I will post ratings from the bar associations, newspaper endorsements, and any community group or union endorsements that I can verify. If I know a candidate personally I will disclose it -- but I'm not going to endorse your opponent because I know him or her. I want to publicize your events. If you have a cable TV appearance, if you've been invited to address a Chamber of Commerce luncheon, if you're planning to have volunteers work all morning at the 95th Street Station on the Red Line -- and you want some publicity about it, let me know. If you have a picture and I can work it in (subject to my technical limitations) I'll try to run that too. I want this these judicial posts to be a resource for voters. That means I want to provide accurate information. Accurate information may not always be the most flattering information. I will give sources; I will strive to be fair. If you think I've been unfair in a given instance, or if I've omitted something material, you are encouraged to write me or leave a public comment. I reserve the right to delete comments. I don't know that comments from friends and family like "he's the best" or "she's the most qualified" are going to really sway any voters -- but I'll leave those comments alone. What I'm worried about are "attack" comments. I understand that this is a blog and open to the entire world and that a certain amount of freewheeling commentary is to be expected, but my experience from two years ago has suggested a need to intervene quickly if comments turn nasty and personal. On the other hand, a lot of positive and helpful information can come from intelligent and perceptive commenters and I'm looking forward to these. One final note: Around the end of November or beginning of December, I will ask any interested candidate to provide a statement in your own words -- your own essay, addressed directly to the voters. When I did this in 2007-2008, I got statements from roughly 25 candidates. I'm hoping to have many more personal statements this time around. I ran these as they came in. I also linked to them when I did 'round up' posts -- on a race by race basis -- so voters could comparison shop in the days immediately before the primary. You can find the 2008 round-up posts and the personal essays in the Archives. To browse the Archives click on the year in the Sidebar; this will open up a month by month menu and you can search from there. Per email received from attorney Patrick J. Enright, who advises he is helping with the campaign, the campaign website of Judge John P. Callahan, recently appointed by the Illinois Supreme Court to the countywide Kelly vacancy and, almost immediately thereafter, slated for that post by the Cook County Democratic Party. That's a link to the website in the preceding sentence; a link has also been added to the Sidebar. A lawyer since 1988, Callahan's website notes that he is a 1981 graduate of Marist High School, that his undergraduate degree was conferred in 1985 at Marquette University, and that his law degree was was awarded in 1988 by Chicago-Kent Law School. After graduation, Callahan worked for Price, Waterhouse as a tax consultant before joining the Cook County State's Attorney's office in 1989. According to the campaign website, Callahan rose through the ranks in the State's Attorney's Office, eventually working in the Gang Crimes Unit. He left that office in 1996 to join Sullivan, Hincks and Conway, the firm for which he was working at the time of his appointment to the bench. October 20, 2009: 5:00 - 7:00 p.m.
For ticket information, please email electjudgecallahan@att.net. November 5, 2009: 7:00 p.m. to 9:00 p.m.
For event information, please call Patti Skalitzky (708) 422-4812. November 15, 2009: 2:00 p.m. to 4:00 p.m.
For event information, please call Gene Callahan (630) 572-8500. November 20, 2009: 7:00 p.m. to 10:00 p.m.
For event information, please call Michael Callahan (708) 774-8163. I mentioned in this October 1 post that Ninth Subcircuit judicial candidate Dennis Fleming would be featured on an upcoming episode of North Town News Magazine. The interview will air beginning on November 5 but it is available now on the Internet -- and right here on page two. NTNM is seen on CAN-TV in Chicago on Channel 19, on Thursday at 7:30pm and again on Friday at 2:30pm. Evanston residents can watch on Cable Channel 6 at 8:00pm. Avy Meyers' other guest on November 5 will be Clerk of the Circuit Court Dorothy Brown, presently a candidate for President of the Cook County Board. 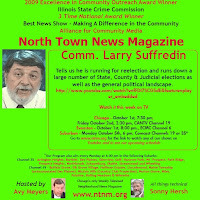 Judicial candidates looking for TV exposure are encouraged to contact Avy Meyers through the NTNM website. I will put up any interviews a Cook County judicial candidate gives for the primary. Are there other TV opportunities for Cook County judicial candidates? Leave a comment to this post or send me an email if you have information so that I can share it. Found on the Internet, the campaign website of Diann K. Marsalek, recently slated by the Cook County Democratic Party for the countywide Bronstein vacancy. That's a link to her site in the preceding sentence; a link has also been added to the Sidebar. A lawyer since 1990, Marsalek currently serves, according to her website, as a legal advisor to the Illinois Secretary of State. Marsalek was an alternate party choice for the 2008 primary, but no additional vacancies ever opened up. She was a finalist for Associate Judge in February 2007 and again in August 2008. Marsalek also sought a seat in the 8th Judicial Subcircuit in 1994 and 1996. She presently is President of the Lakeview Citizens Council. According to her campaign site, Marsalek was employed by the Illinois Attorney General's Office for 15 years before joining the Secretary of State's office. She holds B.A. and M.A. degrees from DePaul; her law degree is from Northern Illinois University. Found while surfing the Internet, the campaign website of Judge Daniel B. Malone, appointed by the Illinois Supreme Court in February 2009 to the "A" vacancy in the Third Judicial Subcircuit. That's a link to the site in the preceding sentence; a link has also been added to the Sidebar. In a February 6 post about Malone's appointment, I mentioned that Malone was the Vice President and was the former Treasurer and on the Board of Directors for the Workers' Compensation Association. His campaign website advises that he was this year named President of the Workers' Compensation Association. 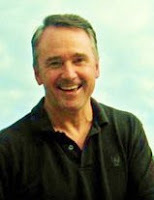 Malone obtained his undergraduate degree in 1979 from the University of Illinois and his law degree from DePaul University in 1986. He graduated from Fenwick High School. Before his appointment to the bench, Malone was a partner at the Healy Law Firm. His website advises that Malone continues as Chair of the Finance Committee at St. Mary Star of the Sea Parish. He has been a commissioner on the Southwest Home Equity Assurance Program and the Midway Noise Compatibility Commission. Thomas "TJ" Somer to run in 15th Subcircuit? That's what Casey Toner reports in this October 11 article in the Neighborhood Star. Somer, the Chicago Heights city attorney and Bloom Township Supervisor, is circulating petitions to run as a Democrat in the 15th Subcircuit, according to Toner's story. Somer has been an attorney since 1991; he served as a Chicago Heights police officer for 14 years before obtaining his law license. Somer ran as a Democrat in the 15th Subcircuit in 2008 for the "A" vacancy ultimately won by Anna Helen Demacopoulos. One of Somer's many opponents in that crowded primary race (there were nine candidates in all) was Thomas R. Mahoney. Mahoney has also indicated his intent to run again. Chicago attorney Jesse Outlaw is planning a run for judicial office. Mr. Outlaw's name is linked to his campaign website in the preceding sentence; a link has also been added to the Sidebar. A lawyer since 1980, Outlaw's campaign site touts his experience in DUI law, divorce, civil litigation, labor law, probate and bankruptcy. A check of the news archives shows Mr. Outlaw represented a Cook County Circuit Court judge (then a candidate) in a personal bankruptcy matter a few years back. This will be Mr. Outlaw's second bench bid; he filed in the First Judicial Subcircuit in 1996, although he withdrew his candidacy after a petition challenge. A committee has been formed to pursue the judicial candidacy of John Michael Lagattuta, an attorney with the Illinois Department of Financial and Professional Regulation. Lagattuta was in the news in 2006 when he represented the State in a hearing seeking to revoke the license of Chicago dentist Hicham Riba. Riba was accused of administering an overdose of anesthetic to a five year old patient, causing her death. An attorney since 1985, a LinkedIn profile available online indicates that Lagattuta may now be the Acting Chief Administrative Law Judge at Illinois Department of Financial and Professional Regulation. There is at least one more candidate pursuing the Riley vacancy in Cook County's 11th Judicial Subcircuit: Maritza Martinez, a finalist for Associate Judge in 2007, is pursing a bid. That's a link to Martinez's website in the preceding sentence; a link has been added to the Sidebar as well. Martinez is presently associated with the Law Offices of Robert A. Fisher, Ltd. A lawyer since 1989, Martinez has worked for the City of Chicago as an Assistant Corporation Counsel and, according to her campaign site, currently serves as a Commissioner for the Illinois Court of Claims. Martinez was briefly a candidate for the Burke vacancy on the Illinois Appellate Court; she withdrew, however, before the 2008 primary. Martinez is also on Twitter: While I do not presume to understand how this works, it appears that you can follow MaritzaForJudge by following this link. Long-time Cook County State's Attorney James Michael Bailey, son of former Circuit Court Judge James M. Bailey, has organized a judicial campaign committee according to records posted by the Illinois State Board of Elections. Another Cook County Assistant State's Attorney, Gina Crumble-Jones, is contemplating a run for the Riley vacancy in the 11th Judicial Subcircuit. A lawyer since 1994, Ken Trainor's article for the September 15 Wednesday Journal of Oak Park and River Forest notes that Crumble-Jones is currently the supervisor of the Child Protection Division of the Cook County State's Attorney's Office. A graduate of Northwestern University School of Law, Crumble-Jones has also worked for the Public Guardian's Office and for the Department of Children and Family Services. Trainor's article also tipped me to the 11th Subcircuit candidacy of Assistant Public Defender Pamela M. Leeming. Trainor's article notes that Leeming is currently "a special litigator in the Legal Resource Division" of the Public Defender's Office, "handling cases that involve DNA and forensic evidence. She also does pro bono work on a volunteer basis with a number of nonprofits, mostly involving domestic matters (divorce, adoption, etc.)." An attorney since 1990, Leeming was a finalist in the 2008 round of Associate Judge Selection. She also currently serves as Secretary of the Asian American Bar Association. Cook County Assistant State's Attorney Tom Bilyk is the third new candidate in the 11th Subcircuit disclosed by Trainor's article. A lawyer since 1983, Bilyk has spent his entire legal career in the State's Attorney's Office, currently serving as chief of the Juvenile Justice Division. In his interview with the Wednesday Journal, Bilyk stressed his involvement with, and commitment to, the process of "'balanced and restorative justice,' which [Bilyk told Trainor] moves beyond merely punishing crimes to 'measuring success by how much harm is repaired in the community and how much competence is developed in the offending minor.'" This is Bilyk's first run for office. Concluding this round-up, Associate Judge Joan Marie G. Kubalanza, appointed in 1998, has organized a campaign committee in anticipation of a possible bid for a full Circuit Court seat. Judge Kubalanza is currently assigned to the Child Protection Division of the Juvenile Court. Before going on the bench, Kubalanza was a partner with Foley & Lardner. Avy Meyers, the producer, director, editor and host of North Town News Magazine, a half-hour cable-access "televised neighborhood news magazine," contacted this blog recently. Ultimately, he invited me to appear on his program, and I taped an appearance yesterday. The story of that experience will be told separately, on page two. Meyers is interviewing judicial candidates on his show, which runs on Cable Channel 19 in the City of Chicago on Thursday at 7:30pm and Friday at 2:30pm. NTNM also runs in Evanston on Cable Channel 6 on Thursdays at 8:00pm and, according to Meyers' business card, in Skokie and "over 30 North & Northwest Suburbs" on Channel 19 or 35 on Mondays at 6:00pm. Media-savvy judicial candidates have been lining up appearances already, Meyers told me yesterday. He receives calls from PR firms regularly. In the post below, I mentioned that 9th Subcircuit candidate Dennis Fleming taped an appearance yesterday. He was concluding his interview as I arrived for mine. Clerk of the Circuit Court Dorothy Brown, currently running for Cook County Board President, was walking in as I was walking out. Nor is a candidate's exposure necessarily limited to the times Meyers' program airs on cable: From the North Town News Magazine home page, a person can link to YouTube interviews of Meyers' past guests, alphabetically arranged. I'll link to judicial candidate interviews for the upcoming primary as I learn of them and post them as well. Because his program is aimed primarily at the far North Side of Chicago and surrounding suburbs (Evanston, Skokie, Lincolnwood -- though it appears in Wheeling, Palatine and several other points north and northwest), it's doubtful how useful this program might be to candidates running in the far south 15th Judicial Subcircuit. But even with this qualification, my suspicion is that Mr. Meyers will not have to scrounge for willing guests anytime in the near future. If anyone knows of any other opportunities for Cook County judicial candidates to get TV exposure, please leave a comment or send me an email. He has no website yet and I don't have a photo to run, but Dennis M. Fleming, a hearing officer for the City of Chicago, is planning to file in the Ninth Judicial Subcircuit. I met Fleming yesterday as he was taping an upcoming appearance on North Town News Magazine. I'll have the video of that appearance on For What It's Worth when it is available. Fleming, a lawyer since 1976, ran for state representative in the 15th District in 2004. Though he received the endorsements of both the Tribune and Sun-Times, Fleming lost to John D'Amico.